SPECIALIST FACEBOOK ADVERTISING COMPANY for SMALL brands. We help you get great result with Facebook advertising. Thanks to the structure of the Facebook social media platform and the data it sync with target audience, Facebook targeted advertising is incredibly comprehensive with ability to focus relevant customers based on interest, demographic, geographic, location, behaviour and more. Our Facebook Advertising services in Ahmedabad is thoroughly based on the research done on the customers, competition and product preferences that people like to check, like and share on social media platform. We are an integrated Facebook Advertising Agency in Ahmedabad. We will help your brand to stand out from social media clutter. For Facebook Advertising in Ahmedabad we do research to understand your business, customers profile, target audiences, competition and more to get the best opportunities on Facebook. And based on this we will draft clear and concise advertising campaign strategy that explain the route to meet and exceed your expectations within limited budget provided. Also the execution done by the specialist and trained social media professional. Our Facebook Advertising campaign is fully tracked and backed with analytical data to get the most accurate communication for each penny spend by our client. Also based on the campaign report and continuously monitoring the different set of audience, creatives and advertising placements, we make sure you get the best of both, placement and ROI. We are here to help you for any of your Facebook advertising needs. For more information on how Brand Core Media as a creative Facebook Marketing company can promote your brand effectively and affordably, contact us today. We can offer custom solutions based on your requirements. Facebook as an advertising medium has an implausible reach. Around the world there are close to one billion active users log in several times every day and spend lot amount of time on the website. For someone planning to advertise their brand over the Internet, Facebook Advertising In Ahmedabad is an ideal option for getting paid and earned audiences. There cannot be a better option than Facebook as everyone you are looking to communicate is there. However it is important to understand that Facebook advertising platform is not unique because of it’s massive reach, but because it gives an exact opportunity to approach targeted audience. Since every Facebook users provide a lot of information while initiating their account including basic information like their location, gender, age, education, interest and other demographic distributions, Facebook advertisers can be quite specific to whom they are talking about while buying Facebook ads. Even when the Facebook user “Likes” different pages, be part of different groups or community of people provides information to bifurcate the users from the others. This information is vital for Facebook marketing company to plan for Facebook advertising. It helps Facebook advertising professional to target right people and promote product or service to the exact demographic audience. Nevertheless Facebook advertising is above the selection of only demographic viewers but it is in reality a well though marketing campaign starting with ad design and title selection keeping in mind all the parameters of traffic. 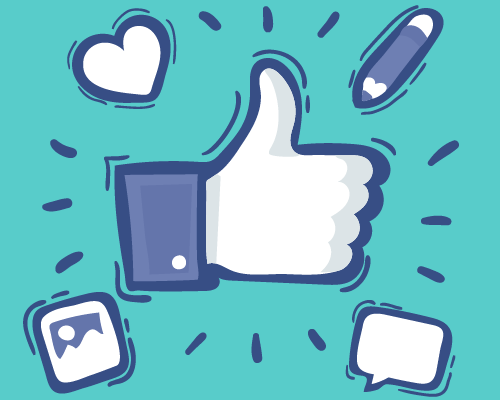 Also generating “Clicks” and “Likes” for promotional pages, Facebook advertising companies are doing well beyond the simple clicks to like process. Today, things are very much in advanced format and it is no longer enough to buy Facebook advertisements, motivate users to “Like” your page and hopping for strong consumer base. What it requires is a dedicated advertising campaign designed by professional Facebook marketing company with an integrated approach that consider both options of Paid Medium – Facebook Advertisements and Earned Medium – Word-of-Mouth, Likes, Shares and Recommendations. To make it more clear how Facebook marketing company approaches for campaign management and what all matters count, let us discuss in details what Paid Medium is and what Earned Medium is. Hey! Are you looking for Facebook Advertising Agency in Ahmedabad? Buying advertising space on Facebook is the easiest and one of the most effective conducts to promote your brand or business to the targeted people. You can have your ads customized for those who are most suitable to be your customers and thus more likely to engage with it. There are some great benefits for Facebook paid ads. Facebook marketing companies have every space to design and run campaign offering the customized message with complete control. Another advantage of such campaign is it’s analytics, that allows you to see the reach of your Facebook page. Another important aspects of the Facebook advertisements is it’s earned medium. Once you run an ad campaign, you are not only achieving the targeted individual, but in real you are getting an access to the entire social circle of that person. Fans always shares and recommend interesting stories to their connections. If your message is impressive and clear, you can have a great chance to reach more number of people for what you are paying for. And that individual in turn shares your brand to more friends, and so on. This effect can turn into snowball effect and can give you more long term profits. The complicated thing related to earned media is that once it is in hands of your fans and followers, agencies are no longer in control to guide that content. Fans can take your message to anywhere, they may deviate your actual message, and they can disagree with your content or boost them to float on social networking. Important Parameters of Facebook Advertising – Image, Ad Title and Ad Text While preparing for Facebook Ads, these three are the most important parameters to look for. Here we discuss all three elements that a perfect ad should consists and discuss a best practice for Facebook advertisements. Image: The Most Important: When you ask to any Facebook marketing company about what is the most important while planning for campaign, everybody has the same say; The Image. It is actually a factor that makes or breaks your ads. It is the factors that draws the eyes towards the ads and motivate people to click. So while designing an image for Facebook advertising, make sure you do proper homework and choose an image that has the right impact. Ad Title: This is the second most important factor that comes in consideration while anybody creates an effective Facebook Ads. Within the limitation of 25 characters, one need to say entire story that why people should click on you ads and why they make certain purchasing decision. The best Facebook advertising titles comes with clear call to action message. It should be in total gel with the body text and image as well. If you have new product range, special discount, seasonal offers or anything that people would like to see, make it a clear message that motivates people. Ad Text: Practically this is not as important as the earlier two parameters. But if optimized properly it can be use to give an introduction about your product, company or services. This is why making a successful Facebook Advertising campaign is largely depends not only on releasing budget and buying fans over the space but getting true and maximum earned medium that can be proved as neutral brand promoters for your company and choosing right content that can clearly speak your brand.